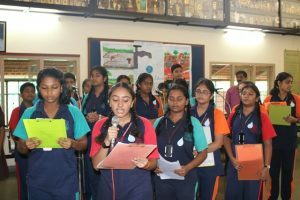 World Water Day was celebrated on 22nd March 2019 with a Morning Assembly. It began with a prayer song’ Power of your Love’. 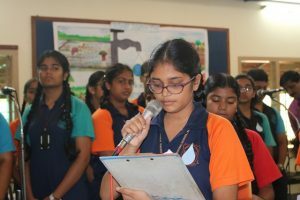 Riya Das of class XC gave an inspiring thought on Water. 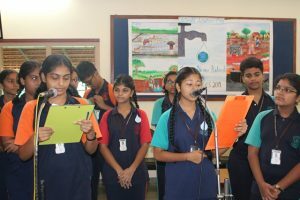 The importance of the day was given by Priyanka of class XC highlighting the theme for World Water Day 2019- ‘Leaving no one behind’ which is the central promise of the 2030 Agenda for Sustainable Development: As sustainable development progresses, everyone must benefit. Today billions of people are still living without safe water, which means ‘safely managed drinking water service’: water that is accessible on the premises, available when needed and free from contamination. 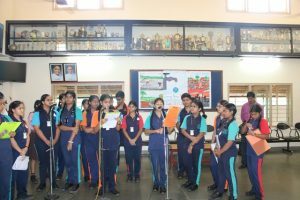 A short poem on water was recited by Sivapriya of class XC . 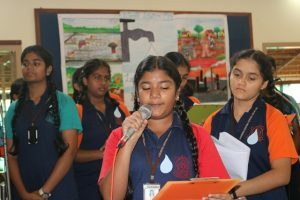 To imagine a day without water is very difficult and how we can conserve water was depicted by Adora Mascarenhas and Sunidhi of class X in the form of a short conversation. 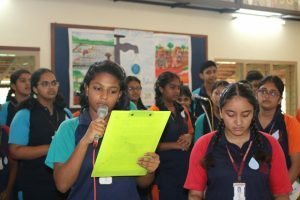 They stressed on not wasting water by making small changes in their daily life and after washing the vegetables to use the same water to water the plants and garden. 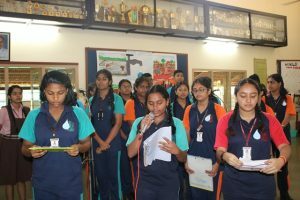 They spoke on trapping rainwater by installing Rain Water Harvesting Systems in houses, locality and to take necessary steps to overcome water scarcity. 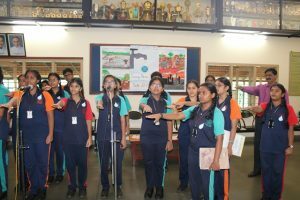 Pledge on water was led by Kushi. 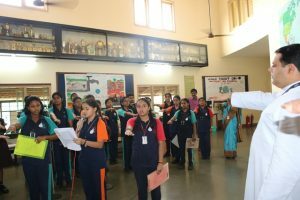 The Principal Rev Fr Robert D’Souza insisted that students should save water by minimising its use as at Thumbe Dam the water level has dipped and people would face water crisis in the month of April if they don’t save it today. 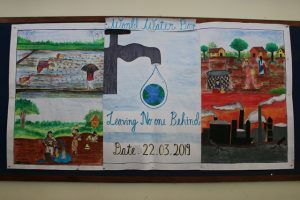 Students of Class XC prepared a beautiful chart on the theme ‘Leaving No One Behind’and displayed it on the lobby notice board. Nidhi Kishore and Hiya Hedge of Class XC compered the programme.